Today is the OFFICIAL launch day for The Farsighted. And in honor of the launch we have FOUR contests/giveaways that will be announced throughout the weekend. But the first contest is here and it’s an exciting one. AND YOU HAVE THE CHANCE TO BE THE PRODUCER! 1. 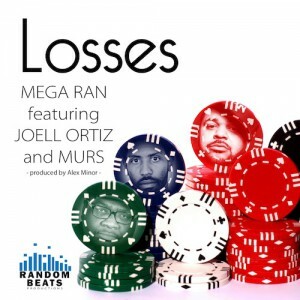 Listen to the song if you haven’t already (posted above) to get a feel for what “Losses is all about. 2. Download the vocal track here. 3. Splice/Dice/Etc. as you will and add the dopest beats possible. 4. Submit via email to FarOutRemixes AT Gmail DOT Com with the subject “Losses Remix” before 11:59 PM EST two weeks from today (February 28, 2014). 5. Sit back and wait till Random and the crew choose the winners! -The remix featured on one of Ran’s upcoming EPs in 2014. -A killer hoodie courtesy of the man himself. -Swag such as a CD, T-Shirt, etc. courtesy of Random. Mega Ran, Mega Legacy, Mega Game!